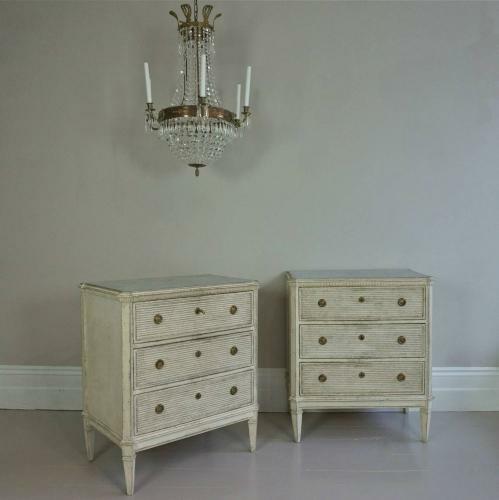 A stunning pair of 19th century Gustavian style chests with grey faux marble tops with decoratively scalloped trims, canted corners, three drawers with richly carved horizontal reeded fronts, and elegant square tapered legs. At a fraction under 75cm in width, these beautiful chests would make perfect bedside cabinets with practical storage and space for lamps. Swedish circa 1870.